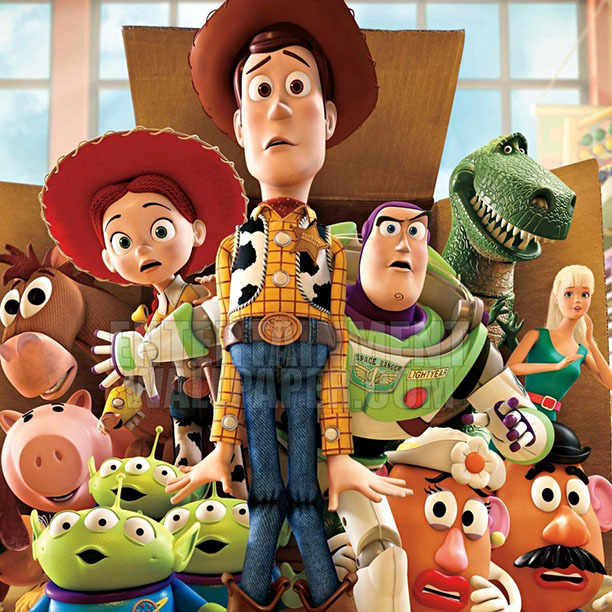 Instead of retiring Woody and Buzz to Andy’s attic, Christian parents often take the toys to their church. But sadly most of the toys left on the church’s doorstep don’t resemble a freshly minted Buzz Light Year. Often the donations more closely resemble the freakishly destroyed toys of Sid’s bedroom. Nothing like a baby doll attached to a metal spider. (See the video below) “Sally, the key is pretending that the baby doll is soft.” And if our kid’s ministries take on the feel of Sid’s room, we don’t just a have décor problem; we have a huge spiritual problem. Every time, we donate a broken toy or drop off a stained couch at church, we declare God to be worthless. By giving God our leftovers, we are telling the world that the God who created the universe is second best. We get to Him after we take care of ourselves. Oh and God’s house, it’s nothing more than the closest Goodwill center. God isn’t impressed by our casts offs. It’s not too hard to get why. You wouldn’t send your old couch to the Governor’s office or give his kids your broken toys in an effort to persuade him to increase teacher salaries. Why? Because the governor and his family already have nice things. Your junk will not move him to take up your cause. And your junk won’t impress God. King David expressly says that we should never give God that which costs us nothing. When we give God our worthless things, we declare him worthless. God takes offense at such actions. Instead of bringing junk to God’s house. Bring your best. Bring your first fruits. Drop off the new toy car at church. Bring the unblemished doll to the nursery. Go get your kids new toys, but bring the best new toy to Jesus. He is the great king. We need to treat him as such. We need to view of him as worthy of our worship, finances, and very life. To do anything else is to commit idolatry. We need to change our mindset by remembering what God has given us. First, we recall that God gave us physical life. And second we remember that he gives us spiritual life. In short, He gives us all things necessary for physical and spiritual life. And when we remember this truth, we cannot help but worship him with all that we have. At the end of the day no one has to give anything to the preschool ministry. We are called to give joyfully as God moves us. But if we decided to bring toys to church, we need to bring the best toys not the broken and the discarded ones. Admittedly our best toys may not always be the newest or the flashiest. The widow’s mite brought God the more glory than all the money bags of the rich. And one of FBCE’s most popular preschool toy was used. But the toys was still a real and costly gift for that person. As such, it, like the widow’s mite, brought glory to God. At the end of the day, God is concerned with our heart more than the quantity or size of the gift. What are we bringing to God? ← Mom, are Christians Nazis?